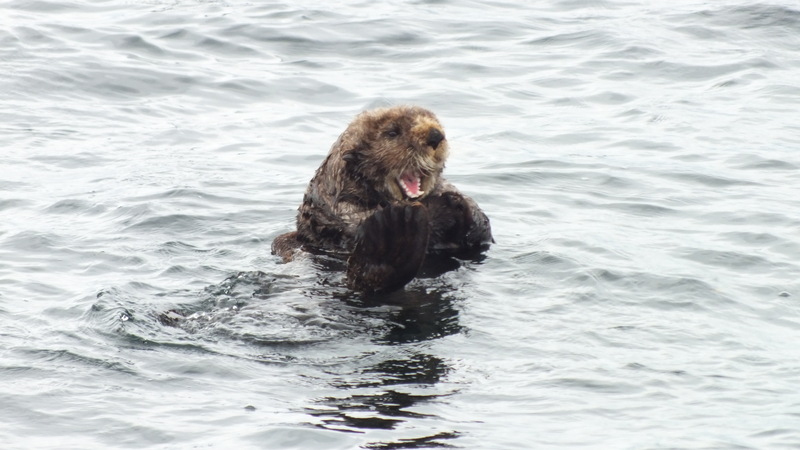 A few more otters from Sitka, because really, who can resist? The first couple shots are of females with babies riding on her stomach. The naturalist told us that otters live almost exclusively at sea and even give birth there. When females are ready to give birth they start rolling in the water and, if you watch long enough, eventually one of the rolls will end up with the mother cradling her newborn on her chest. These babies are a bit older, probably born earlier this spring. 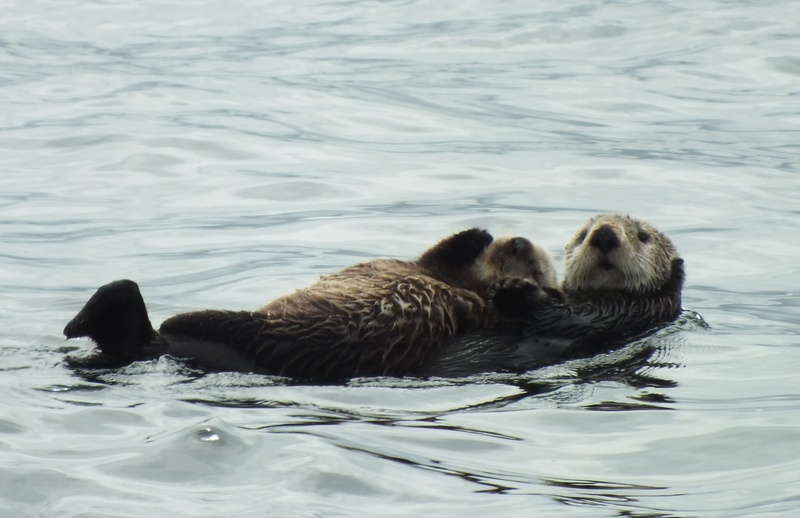 The male sea otters don’t hang out with the females and their young. Instead they float together in guy groups. Otters may look like rodents, but this picture proves they are not. Check out those teeth! That’s a true carnivore you’re looking at. 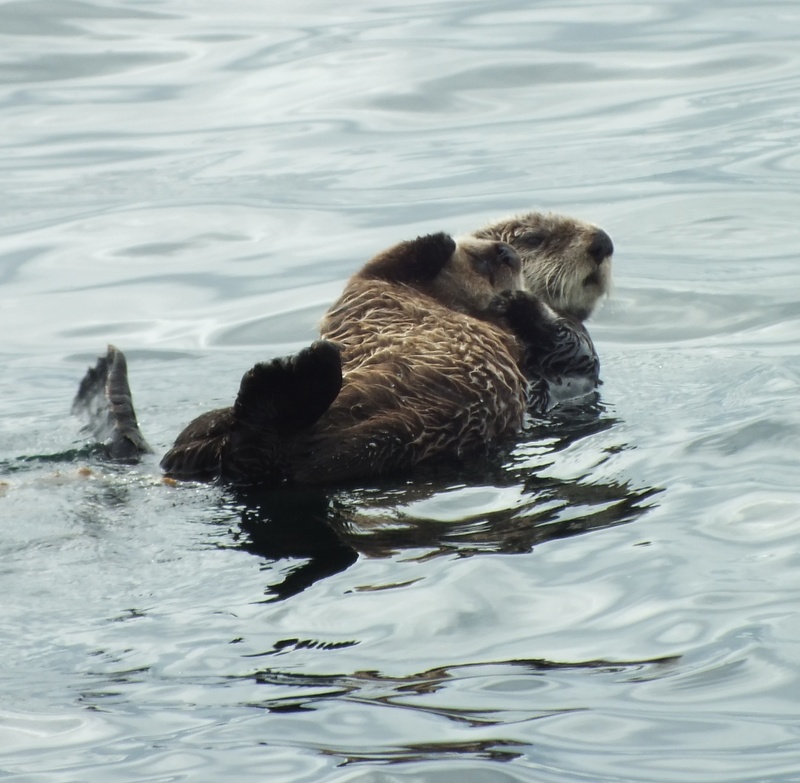 Sea Otters are mustelids, related to mink, weasels, and skunks. And finally, a little sea otter who should be named Lucky. 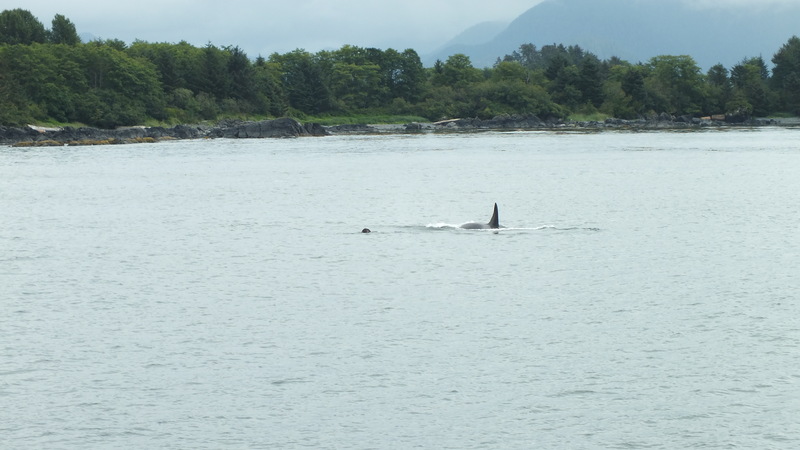 Yes, that’s an otter right next to that orca. And yes, he was still there after the orca disappeared.